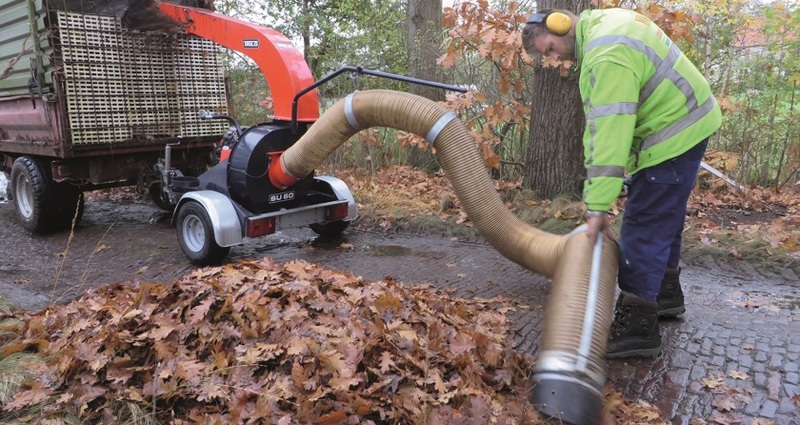 Four SU60 vacuum units from Trilo are the latest additions to fleet at the City of Wolverhampton Council, and have quickly made the momentous task of leaf collection that much easier. At just shy of five million square metres in area, the grounds maintenance and street cleansing operation is certainly ‘large in scale’. The 131-person team, including six dedicated grass cutting teams, is headed up by Citywide Area Manager for Environmental Services Richard Macvicar. With the team having previous experience of Trilo equipment and recognising its reliability and effectiveness, Richard went to local dealer Oakleys who carried out a demonstration. “We looked at a few alternatives at Saltex but after seeing the SU60 on demonstration, together with our past experience, we had no problem in placing the order.” The council took delivery of two units at the beginning of 2017, and another two in the autumn, split between the two city depots. They went into the leafing period with four units ready for full-time operation, shared between the parks, highways and street cleansing teams.